In 1915, British journalist, feminist, and pacifist Helena Swanwick wrote, “War is waged by men only, but it is not possible to wage it upon men only. 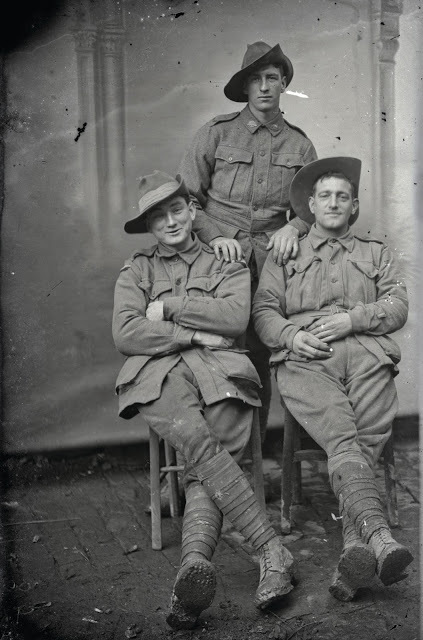 All wars are and must be waged upon women…as well as upon men.” Most of the poetry of the First World War that is remembered, reprinted, and published in anthologies is written by men who were soldiers in the war. But we must also remember that “combat is not the sum total of war.”* Too often, poetry written by women during the war has been forgotten or marginalized. 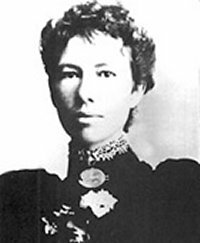 Mary Gilmore was an Australian journalist who campaigned to support better living conditions for indigenous people, working women, and children. She was also a poet who expressed her horror at the sufferings caused by "The Great War"; she donated the profits of one of her books to soldiers who had been blinded. 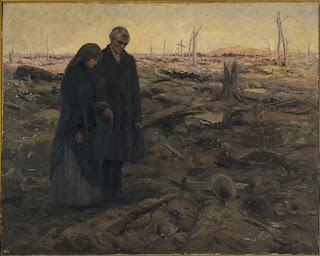 This blog’s previous post included Australian soldier Leon Gellert’s poem “Anzac Cove.” In that poem, Gellert acknowledges the war’s effects on civilians as he describes “the sound of gentle sobbing in the South.” Mary Gilmore’s poem “War” challenges this and other idealized images of grief. Written from a mother's perspective on the home front, the poem is laced with barely repressed anger. 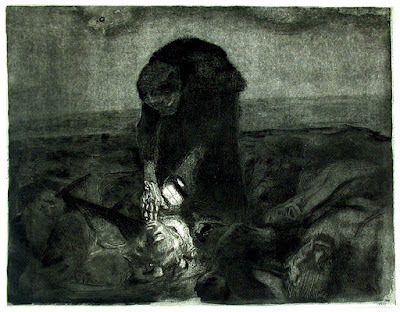 The poem is framed by a brutal and disturbing comparison: a mother flatly tells us that like the dead dog who lies in the street before her home, her son lies dead in the dust of a battlefield with “flies in his mouth, ants in his eyes.” Unflinchingly, the bereft woman confronts the grim reality of death and decay. 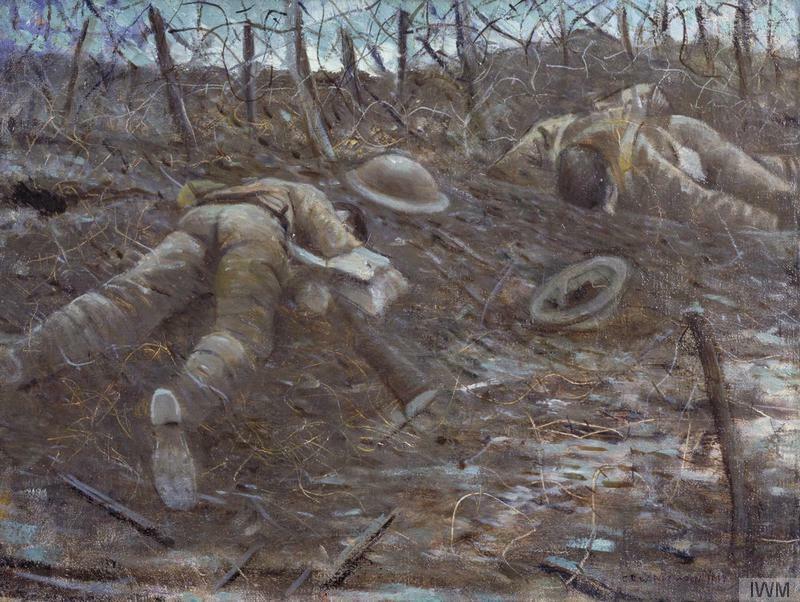 She recalls watching her son, “ruddy and stout” march past their home as the soldiers left for the war, but even in the midst of others’ cheers, for her the beat of the regimental band foreshadowed the dropping notes of “clods on the heart" at a graveside burial. Where others saw dash and glory, she recognized emptiness and loss. Although told that her son died as a hero, this mother resists the comfort of nationalistic platitudes. She knows only that her world is forever changed; her son will never return. She has been denied the closure of washing her son’s body and deprived of the comfort of preparing him for burial or visiting his grave. Likening her son’s death to that of a dog’s, she can find no purpose in his sacrifice, no meaning in his loss, no glory in the war. Jacqueline Manuel, quoting another Gilmore poem, notes, “there has been comparatively little attention accorded the writing of civilian Australian women - those so-called ordinary women who would ‘creep into bed in the dark and weep’** for those sons, husbands, lovers, fathers and friends who would never return.”*** Like so much of Mary Gilmore’s writing, her poem “The War” the poem is deeply subversive as it questions not only the personal tragedy of one man’s death, but the very purpose and meaning of war itself. * Margaret R. Higonnet, Women Writers of World War I, xxi. ** Mary Gilmore, "These Fellowing Men" in The Passionate Heart.